Funny thing our memory is. I am blown away by how it stores information and how it makes associations when you least expect it, pulling up information that you thought you had forgotten from some deep corner of your mind while your conscious self is doing something else. I can truthfully say that I come across these moments quite frequently. One of these happened as we were climbing up from North Pullu to Khardung La last year. Though it was only around 2 in the afternoon, but it had already been a long day for all of us as we had headed out from Hunder before sunrise. We had just stopped for lunch about an hour back and the lethal combination of the food, the altitude (we were at about 15500 ft above sea level), the low oxygen concentration and the early start meant that I was struggling to keep my eyes open. 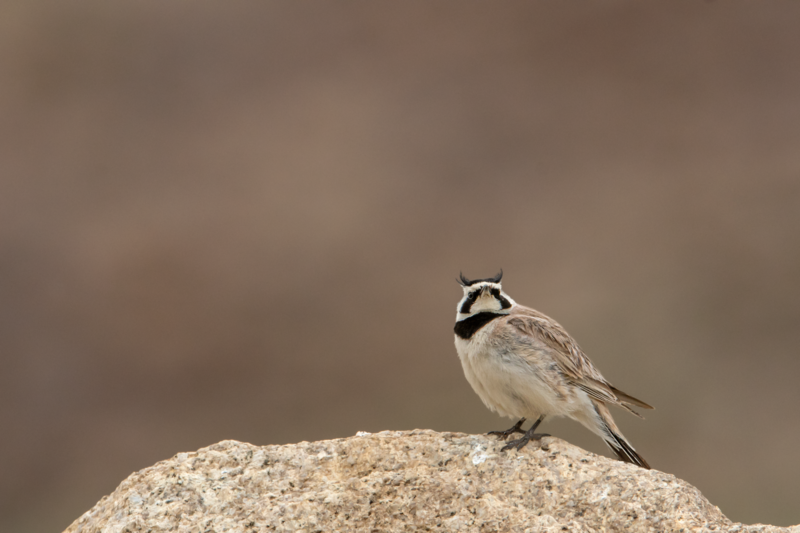 Suddenly, through the mists of my drowsy mind, I heard a voice whispering ‘Horned Lark’ and jolted me wide awake. In front of us, perched on a lovely rock, was the bird. With a black and white head pattern and a black mask, ‘horns’ and band across the crown. 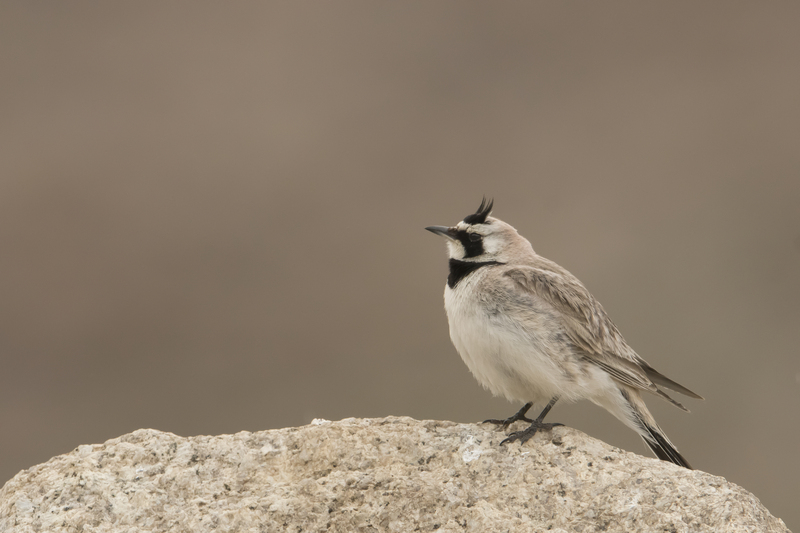 When I looked through the viewfinder and saw the bird staring back at me what caught my attention were the “horns”. And I remembered Hot Stuff, the little devil. Hot Stuff, the little devil. 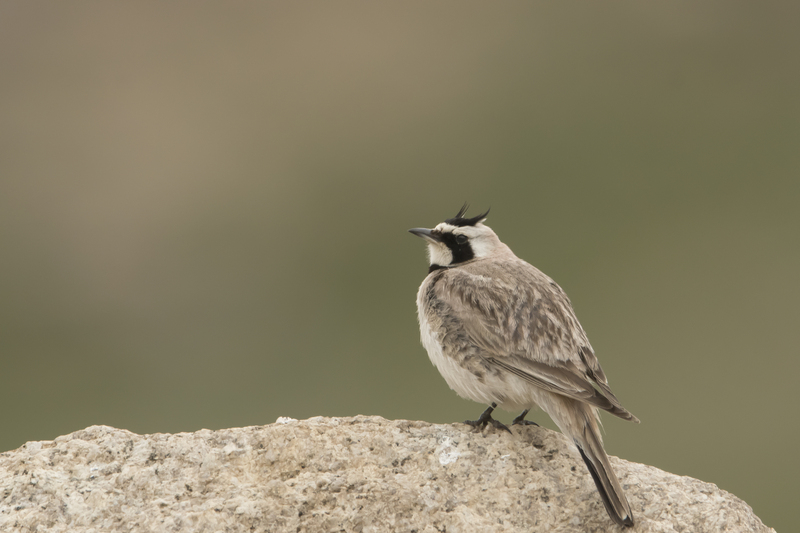 Now, don’t ask me how that is correlated to the Horned Lark and why I remembered that at just that moment. It is not that I was on a steady diet of this comic book character (created by Harvey Comics) while growing u – to be totally honest, I don’t think I ever did read any of the Hot Stuff comics. So, why this character popped into my head is a mystery to me. What I do remember though is that this comic character was a red-coloured child devil, wore diapers, carried a trident and had two small horns protruding like tufts from either side of his head above his eyebrows. I think that the other Harvey comics I used to read carried promotional pics, etc of this character and that was filed away by my brain for future reference. I guess that imageries and connections are magically triggered in ones head and visual cues like the ‘horns’ just enable these quick correlations to be made instantaneously and instinctively. To get back to the subject in my viewfinder, while the first few images had the dry high-altitude desert of Ladakh as the background, we got out of the car and edged back to try and get some greenery in the frame.